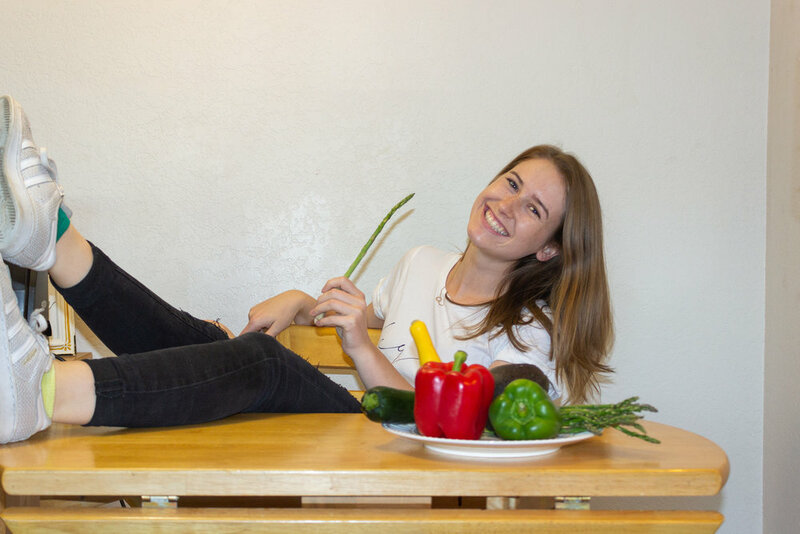 Around a year ago, I decided to go vegan for about two months – it was like a mini fast-type-thing as I prepared to launch the dōt blog. But, what I thought would be a two month thing ended up sticking. So now I’ve been vegan for a year and I’m going to take this opportunity to reflect on this first year and share with you what I have learned and what I would have changed. I think this idea of being plant-based was essential to my switch to veganism. Diets can be hard and can even have unforeseen effects on your mental stability if approached in the wrong ways. That’s why it is so important to allow yourself to fail and not expect too much from yourself too fast. Through this plant-based diet I was able to slowly ease into veganism by eating less animal products, but not forcing myself to give up everything all at once. For about a year before this, I would go vegan for a day or a week in an attempt to lower my carbon footprint. This was another thing that was suuuuper helpful as I became vegan. I was able to celebrate my accomplishments on a day by day basis, instead of focusing on my failures. Sometimes I regret how long it took me to become vegan. I think about how much healthier I could’ve been, how many more animals I could’ve saved, or how much I could’ve reduced my carbon footprint. But honestly, none of that matters now, it only matters that I made it to where I am today – and it is so so important to focus on the positives not the negatives. And I honestly think about that a lot. When you eat only plants, nothing dead is entering your body. It may only be mental, but I seriously felt so much more alive when I first made this switch and I am so excited for you to feel this way as well!